All the text on this site has been published with the permission of the authors and/or the group that produced the original books and pamphlets, the now disbanded North Mymms Local History Society (NMLHS). If you wish to republish any material from this site you will first have to contact the copyright holders. 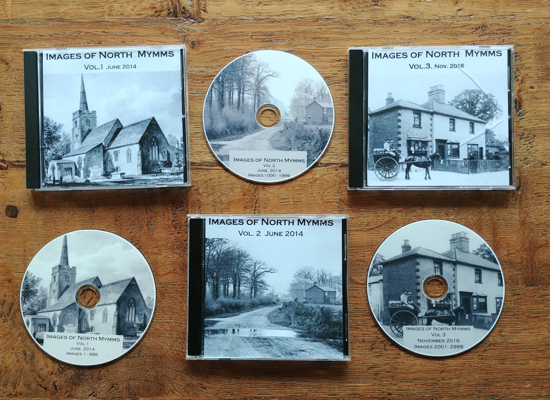 Almost all the photographs on the site have been collected by the community and donated to a local project to preserve the Images of North Mymms. This collection contains 4,000 images and is available to buy on four CDs. Mike Allen, a local historian and photographer, digitised and enhanced the images, producing a photographic archive of the parish's history. This site thanks Mike for the hours of work he put into this project, and to Peter Miller, a local historian and archivist who shared many of his own collection of images and his knowledge during the making of the CDs. Mike and Peter are part of the team responsible for this site. Where possible the copyright and ownership of these images has been sourced and mentioned. 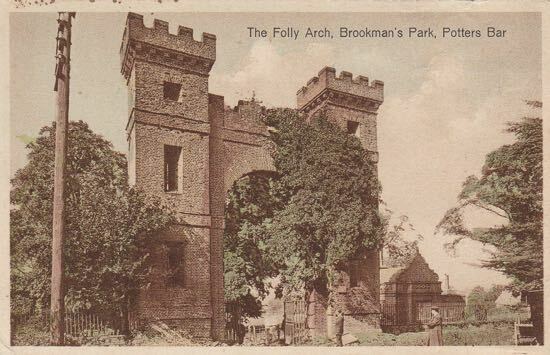 For example the second image in the late Peter Kingsford's book 'A Modern History of Brookmans Park 1700-1950' is of John Somers and is copyright of The National Portrait Gallery. However, the gallery has a system where such images can be downloaded and used on a non-commercial site under the Creative Commons BY-NC-ND 3.0 licence. That image has been included under those conditions. Similarly, an image in the feature about Gobions Estate North Mymms Hertfordshire is also copyright of The National Portrait Gallery, but this site has sought and been given permission to use the image under the same Creative Commons licence. In the same book, there is another copyright image, this time released under the Wikimedia Commons licence. Some images are 'in the public domain' as in the case of the image of The Bowling Green at Gubbins in the feature mentioned above. That image is from The Yale Centre For British Art. In cases where we originally had permission to use the material from the books, we have now sought fresh permission because we are replacing the images with higher resolution versions. In all cases we have written asking for permission to use the images. If permission is not given, the images will be remove and we will add text to indicate where the images are missing and explain why. Should you spot an image that is yours, or which you know is owned by someone else, please let us know and we will investigate and comply with the wishes of the owner. There is a contact form on the right of every page.